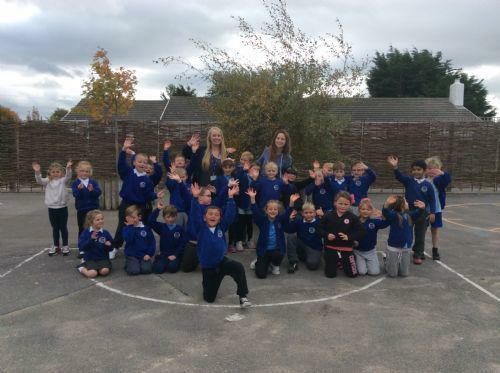 Clwyd were sad to say good bye to Miss McGahan, she is off on an exciting adventure to Australia. We are very excited to contact her during her travels and learn all about where she has visited. Week 1: Welcome Mrs Taylor to Clwyd 2. To start our new half term this week we will be learning about Guy Fawkes and Bonfire Night. Week 2: We have had a very busy week in Clwyd 2. *Clwyd's Cupcake Cafe has opened in class which we are so excited to play in. *In Numeracy we have been learning how to measure using a ruler. Our learning log this week is all about measuring. *In Literacy we have been writing about the different Jewish artefacts that you can find in a Synagogue. *In Welsh we have been learning the names of the different parts of the face (ceg, clust, llygad, trwyn, gwallt a pen). 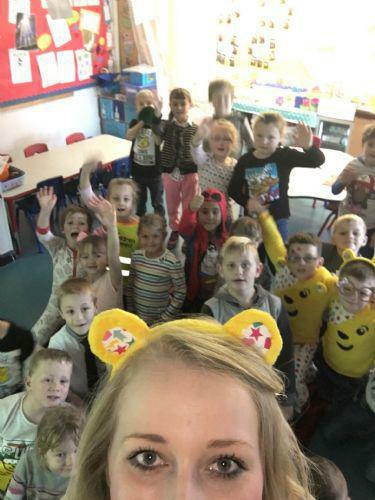 *We have had a fantastic day raising money for Children in Need. Look at all the spots and stripes! !